Sign-up sheets for conference times will be available prior to conference day. Watch our weekly newsletter for notification of sign-up sheets being posted. 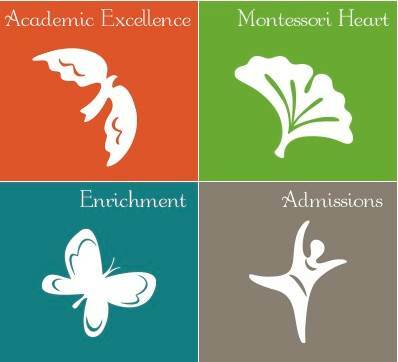 Childcare is provided on an as-needed basis for children of New School age. Friday, April 21 at 8:30 a.m.
Parents, family and friends are welcome to attend either performance. In a previous year, students performed Macbeth at various venues and schools throughout the city. A local videographer (Jacqueline Wood – Golden Hour Moving Pictures) created a wonderful window into what the acting and performing process meant to the students in the play. Click below to hear that message. Each year, 4th and 5th grade students, chaperones and teachers spend time visiting a location that is a bit farther from home than a simple field trip. Students plan their trip with their teachers and research the sights they’ll see. Each year we alternate between visiting Columbus’ museums and highlights or Marengo Caves in Indiana. In spring of 2017, students will be exploring the sights of Columbus, Ohio. 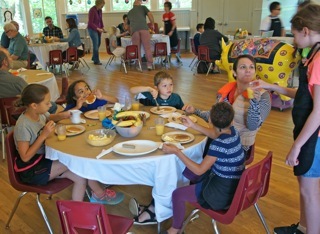 For the past few years, we’ve enjoyed a hearty breakfast of pancakes, fruit and turkey sausage served by TNSM students. It’s a great opportunity to visit with friends, alumni, neighbors and other TNSM staff and parents while also enjoying a fabulous art show of students’ works and exploring the classrooms to meet with teachers and to see students’ work. Tickets can be purchased ahead of time or at the door for $7/ person or $25/ family.